It's gonna be hard for me to write anything about it, it seems that anything I try to write sounds wrong, stupid not the way I want it. Its been few hours I am trying to pull something together but it is damn hard. We haven't see this one coming.. And in my head all the time one question: why? 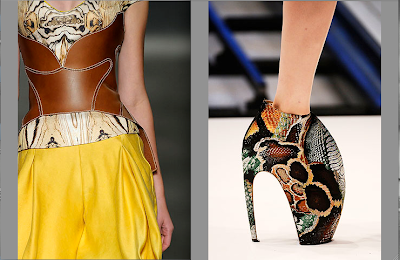 Talent like Alexander McQueen doesn't happened often, it is more then rare. He was a symbol of our era's fashion, he achived to mix fashion with art. "MCQUEEN: Well, I think sometimes I might scare the editors, because they might feel they're getting old and they're not understanding it. The problem lies on their side of the fence, not mine. I come from a different era and I design clothes for our era. I think of people I want to dress when I design. Of course I make mistakes. I'm human. If I didn't make mistakes, I'd never learn. You can only go forward by making mistakes. I'm twenty-seven, not fifty-seven. I'm not Givenchy, I'm Alexander McQueen." Hell yes you were Alexander! You were the designer of our era! And you were one and only ALEXANDER MCQUEEN. I have been on style.com watching all his collections, on youtube watching the shows. 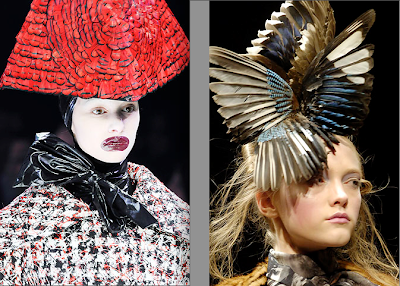 I know it won't be the same any other fashion week without the Alexander McQueen show made by himself. Rest in peace Alexander, we will miss you..